A short animation which features clips from all of CLAMPs works between 1995 and 2006. Well being that this title is so short, there isn't really too much to touch up on. All the Clamp characters rolled into one video, nuff said! Catchy j-pop song. Beautiful artwork! If you loved the original, then you will love this one! (Mokona's aside) The characters don't crossover into each others worlds like they did in the first. More popular characters get more air time then the less known. Not quite as well planned out compared the original Clamp in Wonderland. Notes: like the first one this two is broken into two parts an intro piece and a conclusion. Also, this is a scene mashup. Or a timeline if you will of shows. First time i say the basics of this was clamp in wonderland 1 with 2 now see i have a more general idea of what is going on. Since it took seeing another for needed background knowledge is one of the few things why this got a poor rating. -artwork depending on the show stayed the same for the most part seeing how some of the characters were stripped from their original show background. -art: seeing how this is a timeline as i mentioned before treat it like someone. I understand you wish to reflect on what was done but provide a better catalog of events. Without organization leads to chaos. The only reason aside from reading a backstory on this that i know it is a mashup of different shows is because i watched chobits in the past. If i did not i most likely would have thought this was a new show different from other shows. Which this is not. -plot: similar to my negative art comment make something easy for the reviewers. How about Chobits made in_____ followed by _____. Or how characters jumping in and out of manga in an order of some kind that is made apparent. -plot: remained the same like season 1. From the romantic music to the sighing finish. Same random mix of characters free-for-all. Ending remark:A true fan no problem on the pickup an amateur will need help. Finally, so much could be done it is just sad to see it wasn't. The only reasons why it faired as well as it did was it was so random it was slightly funny(not haha funny) and it was a good way back memory jogger. This is a music video that pays tribute to the manga group Clamp, famous for its elegant charming illustrations and its various stories. This is the second video made to commemorate Clamp’s works (the first one was made in 1994) and features all the Clamp characters created from 1989 to 2007 (the time this video was made). The animation is just as pretty as the first video, but is a bit more varied with the use of digital elements (a sign of progress). The music is an upbeat romantic track about the beauty and wonder of fantasy worlds, in a similar vein to the first video’s music. A major difference to note is that this video is a lot longer and has more characters compared to its predecessor, as Clamp had created more works since then. 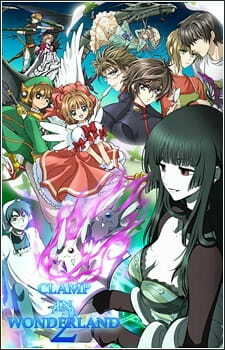 The video also maintains a slight story structure, featuring a crew travelling through the many worlds of Clamp. However, in my perspective, these changes make the video feel heavy and overcrowded, as if it was striving for a Clamp crossover event but couldn’t manage it with enough time (this is a music video after all, so maybe it shouldn’t have been too ambitious). For the most part, it’s still a Clamp video and it can still please the fans. But I would recommend seeing the other video first.